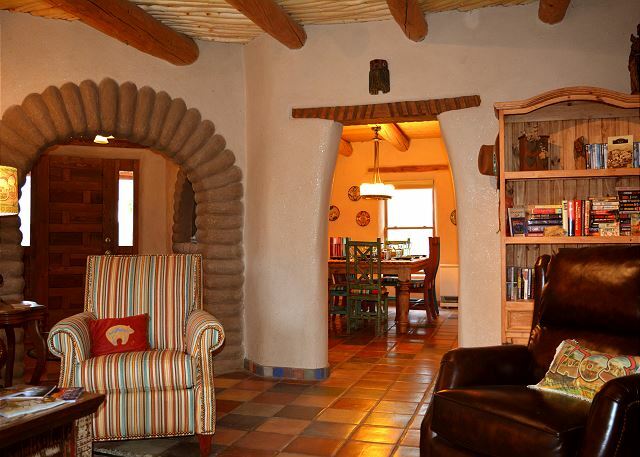 Casa de Little Tree with 4 master bedrooms and 4.5 bathrooms luxuriously sleeps 12 guests allowing all plenty of elbow room, inside and outside. 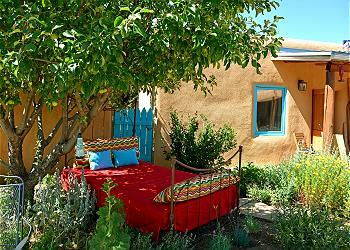 Formerly, Little Tree was a Bed and Breakfas and "Home" to many returning guests for many years. 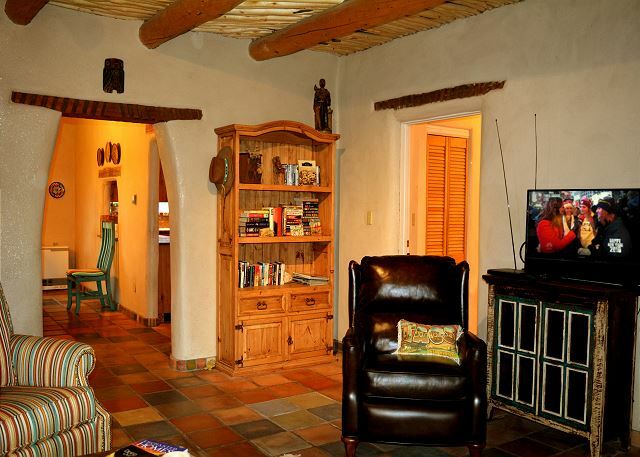 Premiere's proud new owners were repeat guests for more than 10 years while dreaming about "having a Taos vacation rental in Taos "someday". 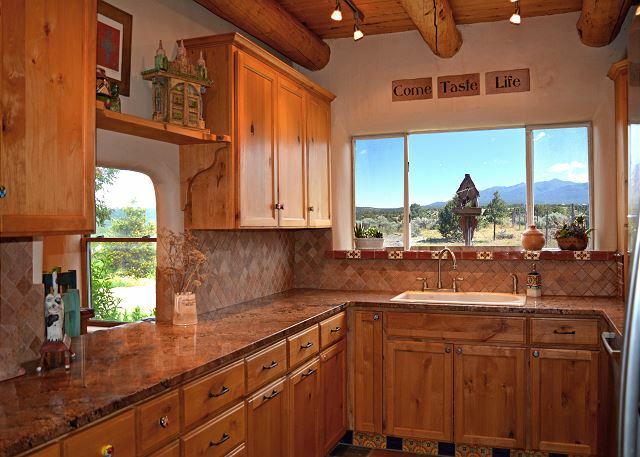 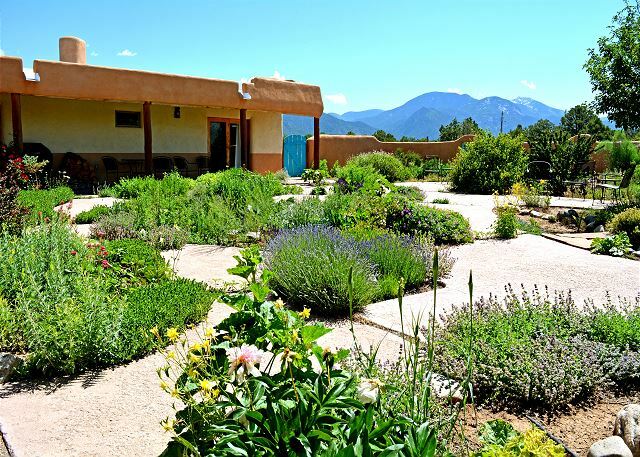 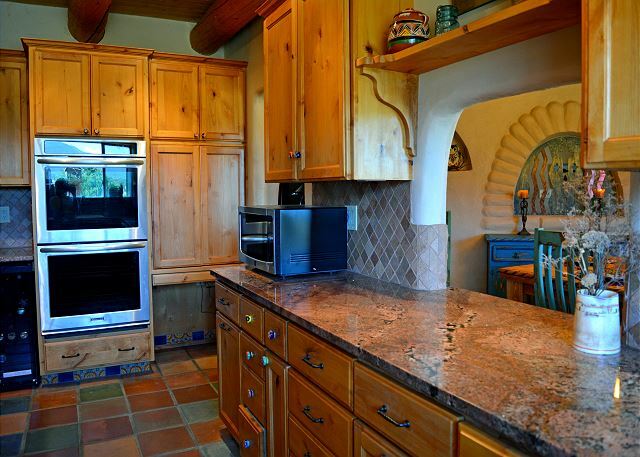 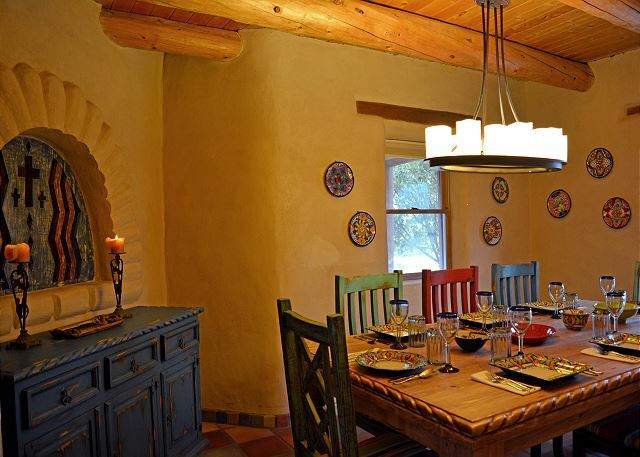 Their dream came true and the family dedicated 6 months to restoring every square foot of this exceptional Taos vacation rental. 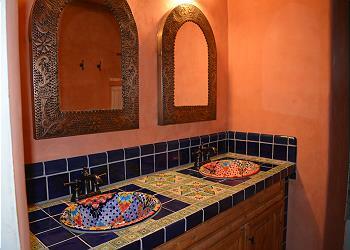 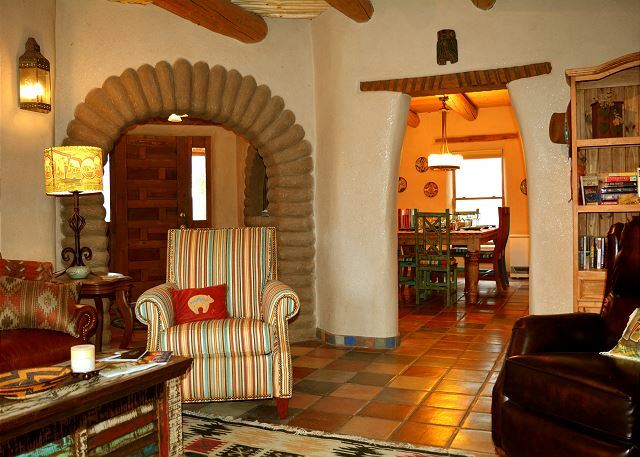 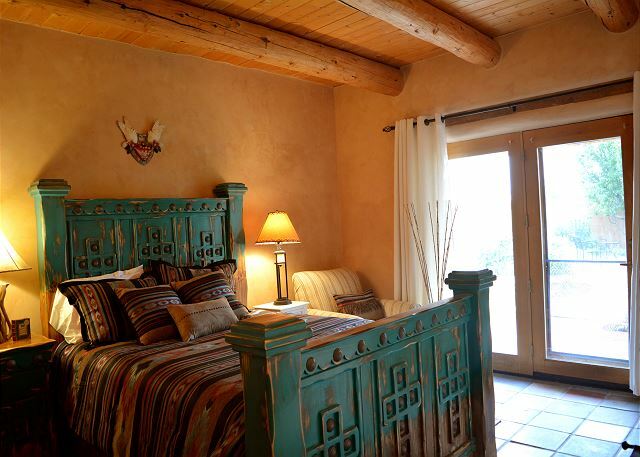 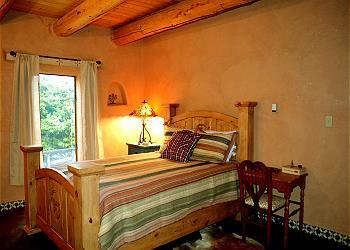 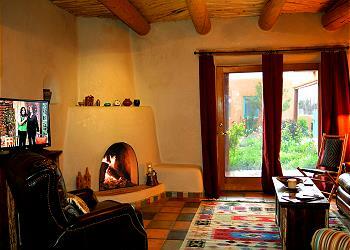 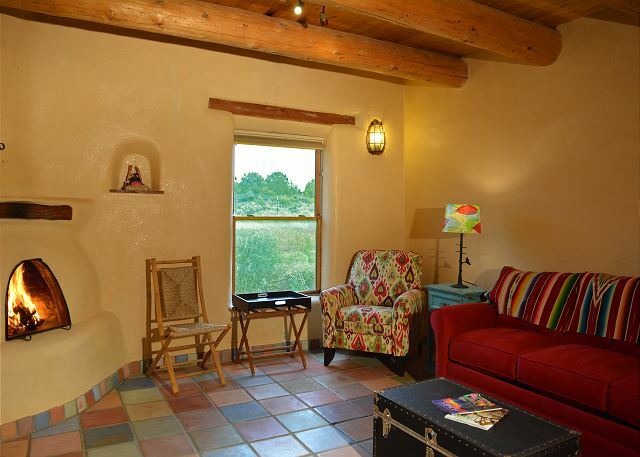 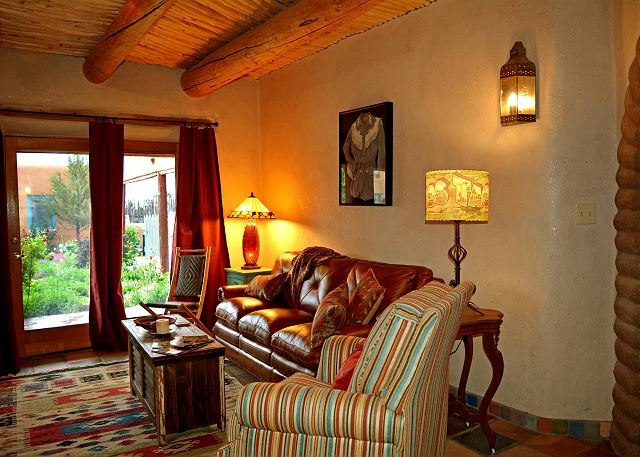 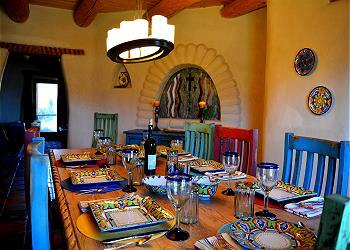 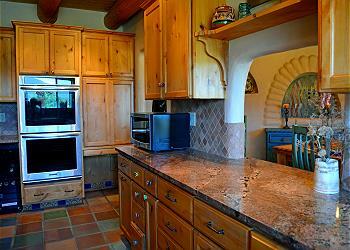 The main house has 3 large thick adobe walled very private and very quiet master bedrooms. 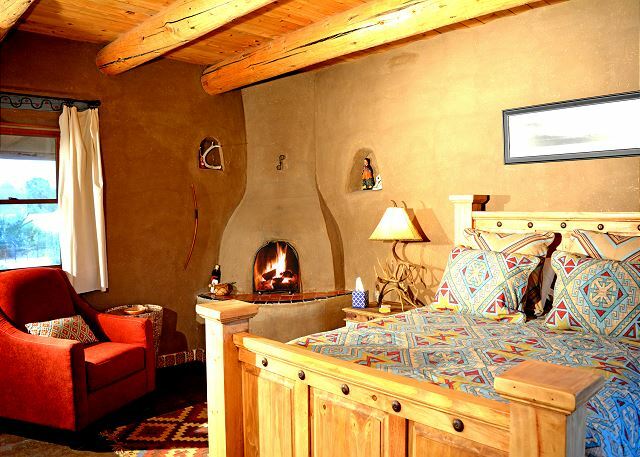 In addition, a larger Den attached to Master bedroom #1 may be occupied as an additional bedroom for teens and younger children, or as a 2nd living area for spreading out with a 2nd flat screen TV and cozy wood burning fireplace. 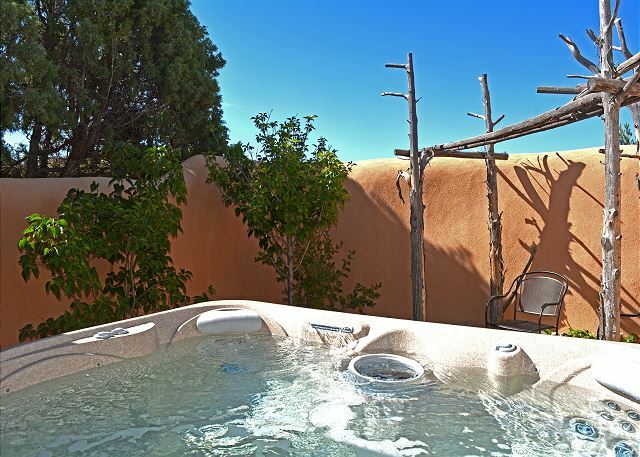 Across the landscaped courtyard with seasonal flowers, apple tree and panoramic mountain views is located the casita with the 4th master bedroom with in suite bathroom and large outdoor hot tub for all to share. Under the apple tree is an old iron bed inviting guests to star gaze or watch passing clouds during balmy spring, summer and autumn days. The spacious portico invites guests to enjoy grilling and alfresco dining in any kind of spring through autumn weather. There is plenty of built in shade and protection from what little rain comes by way of Taos. 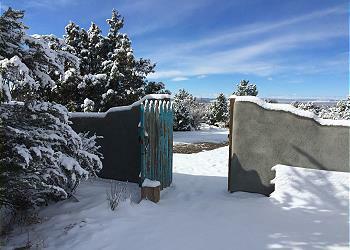 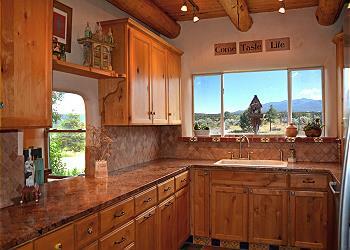 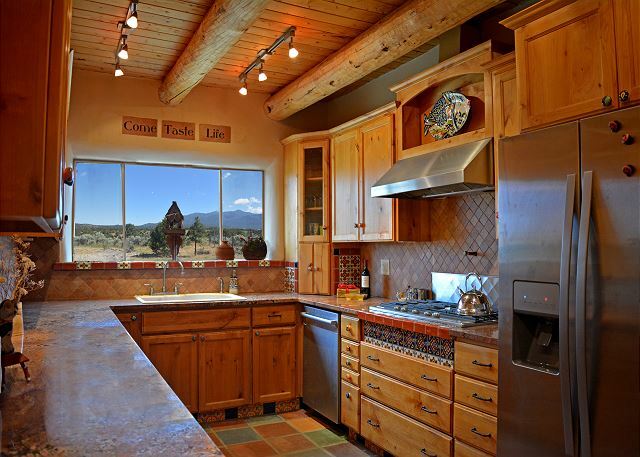 Located on the Hondo Mesa, quiet tranquility and gentle breezes are the norm. 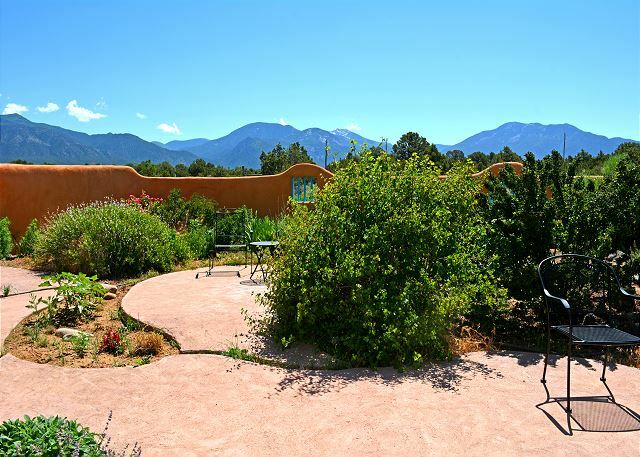 A quick trip to the charming historic village of Arroyo Seco allows guests a sense of life for the early settlers in this pristine mountain town. Little Tree's central location also offers a direct 3 stop sign trip up to Taos Ski Valley for winter snow boarding or skiing and summer hiking and mountain biking in the all new bike park. 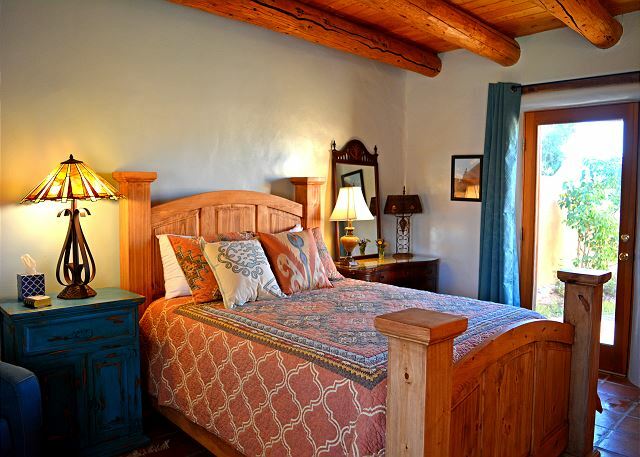 In the opposite direction, head to town for a two stop sign one traffic light route into the Village of Taos, New Mexico for all of the year round events, museums, art, live music, rafting, fishing, ballooning, horseback riding and hiking. 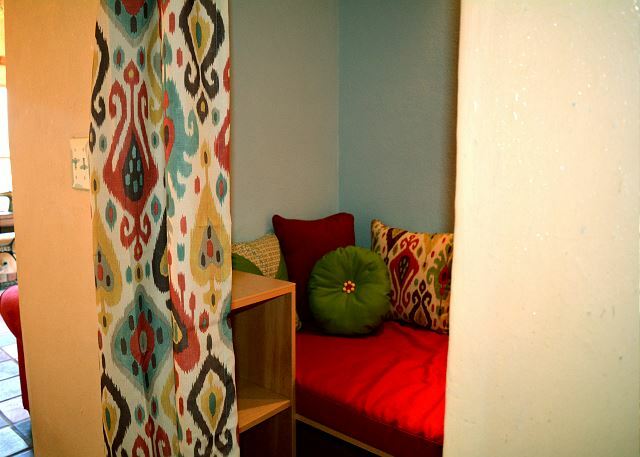 Choose Casa de Little Tree and enjoy an exceptional lodging experience during your groups well deserved vacation.